Many of my students need to hinge their wrists more, but have trouble actually doing it. 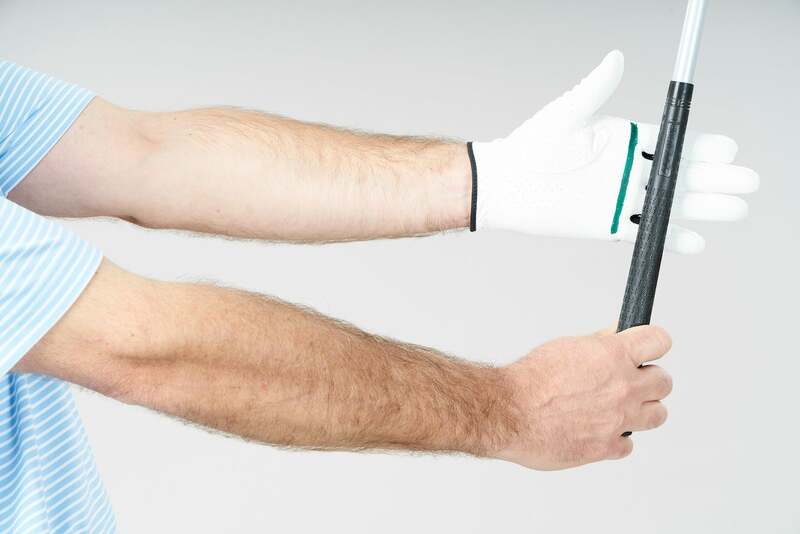 Players struggling with limited range of motion eventually default to “cupping” their lead wrist, with their lead arm often breaking down at the top as a result. It’s a big-time power-sap, to say nothing about its tendency to create a slice. If your wrists feel locked and you’re struggling to create enough hinge, my alternative grip could help. How do you do it? 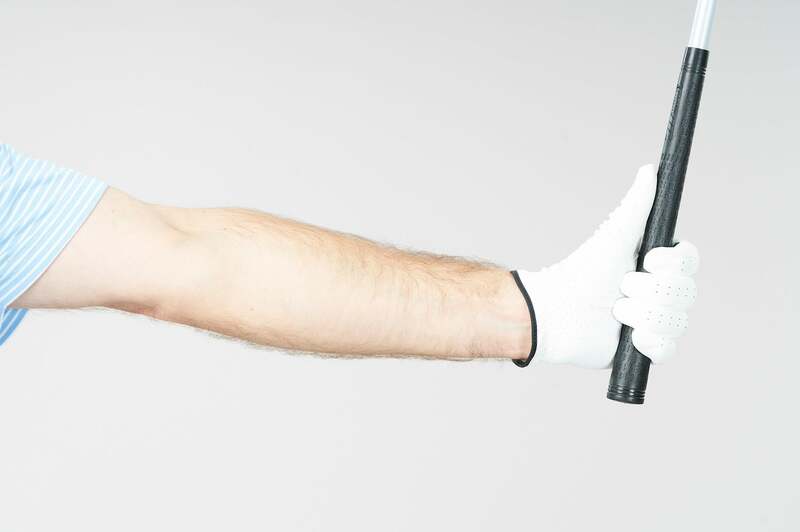 Lay the club perpendicularly across the base of the fingers on your left hand (above, right), rather than diagonally across your palm (above, left). This presets the club for you in a max-hinge position, without you having to do any of the work. 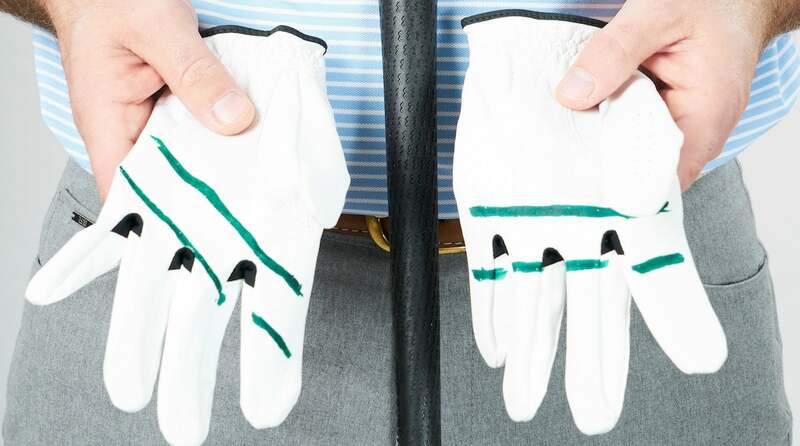 Draw two perpendicular lines across the base of the fingers on your glove with a Sharpie. Slip the glove on, then lay the handle in the channel created by the two lines. This is your new hinge- friendly left-hand hold. You’ll notice that gripping the club more in your fingers helps preset the club for you. Even if you have a limited range of motion, your wrists will be able to build that 90-degree angle between your club and arms more easily.